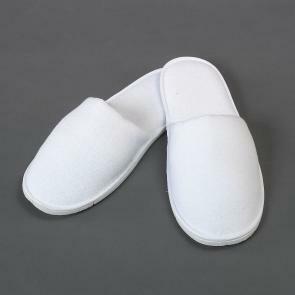 For the ultimate treat to refresh your guest’s feet, be sure to invest in our luxurious hotel and spa slippers. 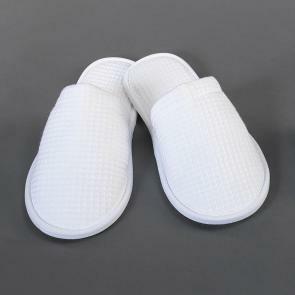 In a clean and crisp white finish, the comfortable spa slipper features non-slip soles which makes them perfect for use in humid or damp settings such as bathrooms and spas. With a lightweight comfort that is both cosy and snug, our hotel slippers come in one size to fit all meaning you buy them in bulk without worrying about sizes. What’s more, we offer our slippers in both open and closed toe versions; perfect for a day of relaxation and lounging around.